Of course, neither of us really celebrates Cinco de Mayo. Neither Son nor myself are the least bit Hispanic, plus we don’t really party or drink at all. Not to mention I have school and he has to work, so Cinco de Mayo isn’t much of a special day for us. Since I’ve never really celebrated Cinco de Mayo, I’m curious… what do you do for Cinco de Mayo? Go out and party? Stay home and ponder the historical significance of the day? 😀 I would love to hear your stories! Slice yellowtail into 1/2 inch by 1/2 inch by 2-3 inch sticks, against the grain. Mix the mayonnaise and red pepper powder. 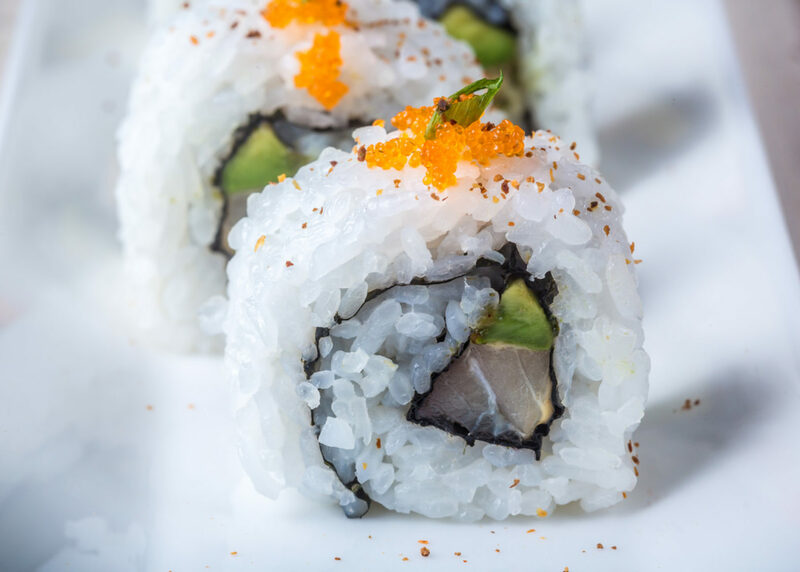 Roll the sushi inside-out, using avocado, yellowtail, and the mayonnaise mix as your fillings. 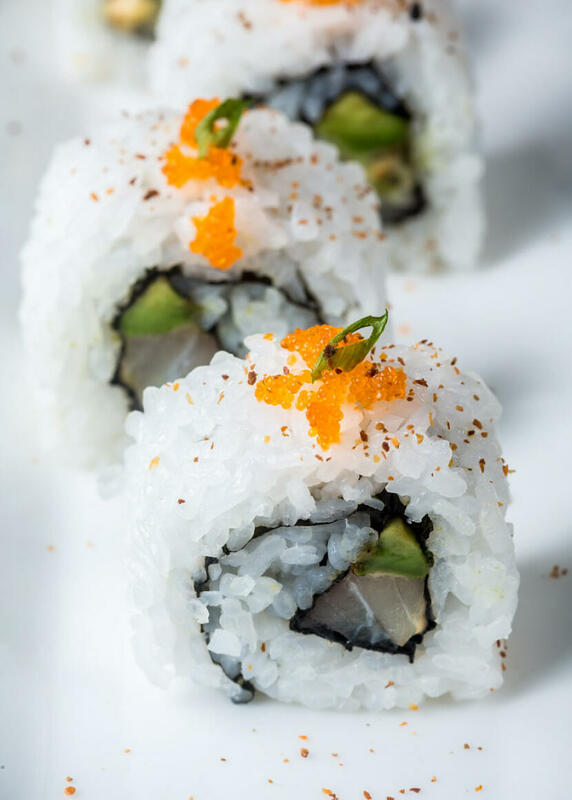 Sprinkle the chopped green onion, tobiko, and additional red pepper powder on top of the roll. If you want the roll to be more spicy? I would recommend makig it w/ some masago. Masago is mayo mixed w/ japanese chilli sauce. Which you don’t need a lot of because a little goes a long way. It should just have a red tint to it when mixed. Love the presentation of that roll. Good Job! I’m from MÃ¨xico,and its very curious here we do’nt celebrate cinco de mayo its only a patriotic day there was a battle vs France , we celebrate, here in Mexico 16 de septiembre (independece day ) and 20 de noviembre (revolution day).but in the USA seems the latinos celebrates the day. Haha, is GTA 4 the absolute newest one? BC I haven’t played any of the GTAs since… a while ago, actually, so probably not. I think they were in Miami or something when I played. Hmm. I haven’t heard about it resembling NYC, but you know which one does – the newest Hulk vid game? My bf saw it demo’d at the Comicon and said as soon as he saw it, he knew where they were. Creepy. lol. This is the map included with the game. Its a good game…but San Andreas was much better. Don’t know how to describe…it was the westcoast flair i liked. Funny story. The Spanish teacher used to send her students into the French classroom with sombreros. They would run around the room screaming “AI YI YI YI YI!” True story. Mmmmh thanks for this recipe!